True to the spirit of Austin — and CatSpring Living — we love featuring some of our favorite CatSpring Yaupon partners and cheerleaders. Today, we’re excited to share why we love Honest Mary’s so much... and get to the bottom of what has quickly turned them into a local sensation. We sat down with founder Nelson Monteith to talk about building a brand, staying true to your core values, and forging a loyal community of employees and customers. 1. How did you get here? Never in a million years would I have thought I’d start a restaurant. We got here because Mary read an article in Business Insider one lazy Saturday: it was about a healthy fast food concept in California. Something about that grabbed us…healthy fast food. It was missing in our lives. We were busy and we wanted to eat healthy, but doing that can be hard -- especially if salads aren’t your favorite food group. Of course, you don’t snap your fingers and make a restaurant. It took about 1.5 years from greenlighting the concept to opening in October 2017. We spent time raising money, securing and building out our location, creating our brand, building the menu, etc. Lots of work and emotions were packed into that time. In the end, we created a brand of which we’re truly proud. Our customers agree! 2. You offer fresh, clean eating on the go. Describe what inspired this and how you have put your individual touch on the menu. The whole concept was inspired by our personal, increasing need for clean and healthy fast food. Entrepreneurs and high achievers need to sustain busy lives… but that shouldn’t entail sacrificing our bodies in the process. Our personal needs drove the entire concept, including the serving style and food. Mary’s creativity shined through as we began building out the menu. While she wouldn’t claim to be a chef, her understanding of what flavors worked well together were integral to this process. 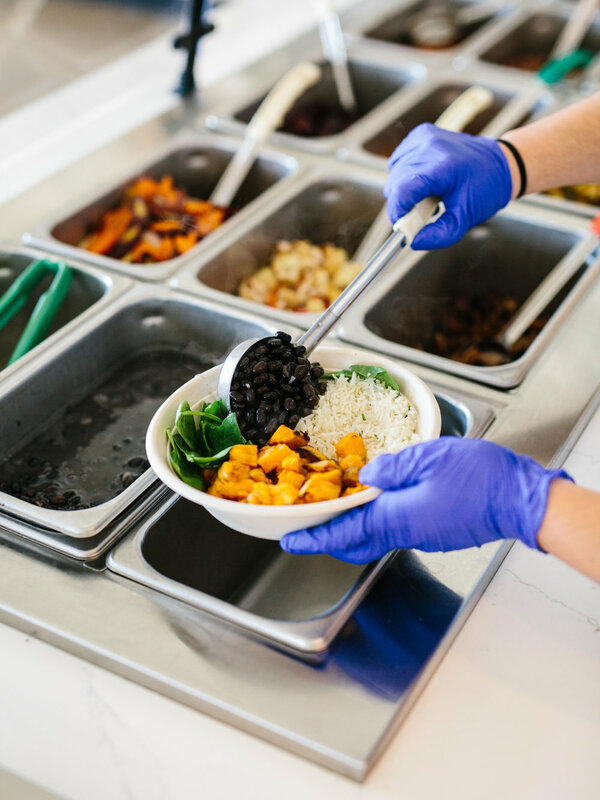 We hired multiple chefs to refine our recipes and make us restaurant ready, but without Mary’s original draft of what bowls we should serve, we would have lacked the direction we needed to really arrive at a cohesive final product. Creativity would ultimately drive not just our food, but the inspiration for our entire brand and aesthetic. 3. Share the inspiration behind your company name. How has this impacted the company? Naming was not easy! There’s so much importance in a name. Ultimately we settled on Honest Mary’s, one of the first names we had proposed in our brainstorm. It’s perfect, because it captures our identity, speaks to our genuine approach and authentic vibe, and instills a sense of vision alongside which we can continue to grow. The name Honest Mary’s has had a massive impact. Not just because it’s a cool name, but because it has forced us in the best way possible to stay true to Mary as the core of the brand and mission. She was our ideal original customer. By committing to having Mary’s desires drive our product and brand, we believe we’ll continue to serve our customers at the highest level, and for the long haul. 4. How can people incorporate better eating decisions into their daily life and when out eating? For me it’s helpful to separate eating out into 2 different experiences. The first is when I’m going out to be entertained (date night, dinner w/ friends, etc. ); in this scenario, my priority is experience & taste. There are a ton of great options for this, especially in Austin. This is maybe every other week for us, and it’s more of a reward than anything. Honestly, I’m not trying to make the healthiest choices. The second is when I’m on the go; I’d like a good meal, but I don’t want to spend too much and I don’t have a lot of time. This is the tough one. This happens often, and it’s usually during a time where I really need energy. I’m either in the middle of my day or it’s a weeknight, and I need to be eating good food to stay filled up. If I can commit to making good decisions in the second scenario by choosing my restaurants wisely, taking some food with me from home, I’m happy to reward myself with the other eating out scenario. 5. Describe challenges you have faced and how you overcame them. Starting out was really challenging. When you’re opening a restaurant, you strive to get open as soon as possible because you’re paying rent and other expenses, and you simply want to start generating revenue. But the problem with opening quickly is that you haven’t had the chance to create the systems and processes needed to ensure operations run smoothly. You’re surviving shifts at the beginning, instead of thriving through them. I could easily see all of the ‘standard operating procedures’ that we needed to create, but I didn’t have time to create them because I was too busy trying to survive. The biggest issue with this is that you end up hurting your staff. Our turnover was high; we lost some great people in the early months because our business wasn’t setup well for them to do well. Reflecting on this time makes me sad, because I feel like I let the team down. Eventually we overcame this problem by hiring great people to help me run the restaurant. First, I brought on a Team Lead (aka general manager), Teresa Cano, to run the store and free me up to create systems. Eventually, I brought on a People & Operations Lead, Brooks Veazey, who has extensive experience in this arena. The manpower and expertise these two have brought to our team the past year or so has made Honest Mary’s a way more operationally robust place to work, and our team has been blessed through them. Today, we’re thriving through our shifts and our turnover is extremely low. What a difference great people can make! 6. How has your commitment to source locally (whenever possible) impacted your decisions and the development of your business? How has it changed the way you interact with your community? Sourcing locally is a framework and standard that we’ve had from the beginning. I think if you set out from the beginning to do this and commit to partnering with great local vendors and farms, it just becomes normal. If you don’t start out this way, clawing into it may feel expensive and difficult. From a business standpoint, it’s just so important to support your local community. We as a city live and die together. We are in this together. We need to help each other out. 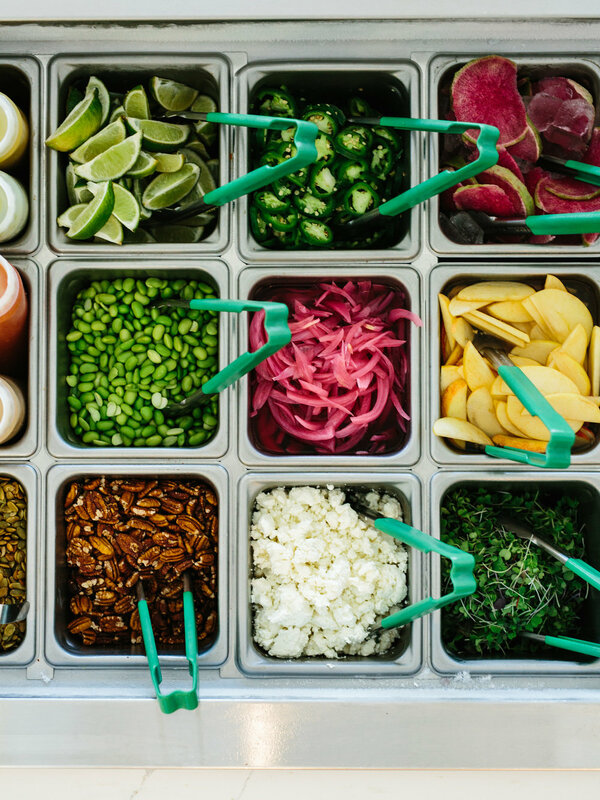 From a food standpoint, we believe that food is better for you when it’s sourced near you. Certain foods grow well in areas around you because they’re suited to feed animals and humans appropriately for climate around them. When we eat local foods, we feel better and live better. And then from a customer standpoint, in Austin, it’s almost a non-negotiable to be local. If you aren’t, you really won’t be embraced by the city. But if you are, and you really commit to it – even when it feels expensive – it comes back to you, because this city simply cares about being local. It’s really cool to get to live in a city that truly cares. 7. How do you think your time at Acton impacted your decisions in building Honest Mary's? It’s hard to explain all of the ways Acton prepared me for building Honest Mary’s. To put it simply, I would never have started Honest Mary’s if it wasn’t for my time at Acton; and if I did, we certainly wouldn’t be enjoying the kind of success we are right now. One specific thing Acton teaches so well is to stand in the shoes of your customer. While simple, it’s truly the most important component of starting a business. If you can understand your customer and create a product suited for their needs and desires over and over again, you’ll have success. Another huge takeaway from Acton was my sheer confidence level. After working through 200 case studies alongside my classmates, I had built a pattern recognition for quality businesses that could help me create something on my own. 8. Share with us some local Austin companies or brands that inspire you. Why do they inspire you? Gosh, there are so many. This city is filled to the brim with amazing creators who are constantly inspiring me and others to try new things. Uchiko has always inspired me. The level of service, quality of food and beautiful aesthetic are incredible to me. The sheer thoughtfulness that goes into every component of your experience inspires me to do the same. I’ll never forget when Tyson Cole, the founder and head chef, came out to personally serve Mary and me one evening, sharing great conversation and amazing sushi on the house. You don’t see this sort of dedication very often. I’m also a huge fan of Houndstooth coffee. I’m there most every day (sometimes twice…). Their dedication to coffee and great service is unparalleled in Austin. I’m continually inspired by what they create each day. 9. How have you grown as a leader and how was this growth influenced by your company? I’ve learned personally what I’d been hearing from others for years: you are the product of those who surround you. There’s nothing more important than having great people around you who you can trust, and do great work. This has grow my ability to delegate tasks to others, entrusting them to do the job even better than I could. It’s humbling and awesome to surround yourself with great people that you ultimately see are way better than you in some key areas. This is the beauty of seeing a company as a body; one person is the hands, another person is the feet, etc. If we all do our job, we’ll be a thriving company that goes places and blesses lots of people. 10. Can you share your three top tips for entrepreneurs interested in building locally conscious businesses? 1. Stand in the shoes of your customer. Understand what they need and desire, and build products that match this. 2. Prioritize people over profits. Of course, profits are necessary to keep the business going. But don’t make the business about profits. Make it about changing people’s lives for the better. 3. Surround yourself with great people. This one is easier said that done. But if you do the first two (build products for customers and prioritize people), you’ll increase your chances of coming across some really awesome people. When you do, lead and serve them well. Newer PostWhat is Domestic Sourcing and Why Does it Matter?